Here’s a quick reference on rhyme for you. You’ll want to memorize these bullets so you can find unique and creative rhymes. 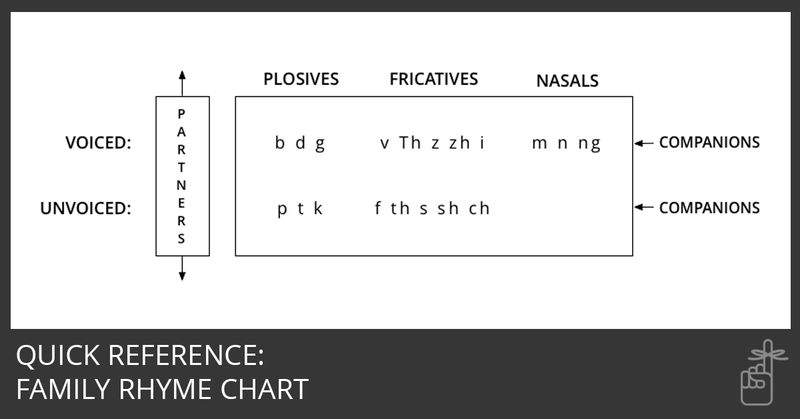 Or, save your brain power and just use this rhyme chart whenever you need it. You can substitute members of the same family: cut/luck, rich/wish, fun/sung. Use this chart to help you find family rhymes. 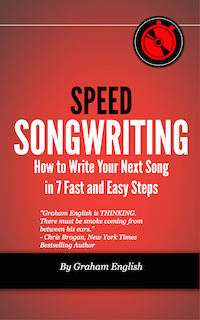 There’s a detailed family rhyme chart in the Speed Songwriting Cheat Sheet. 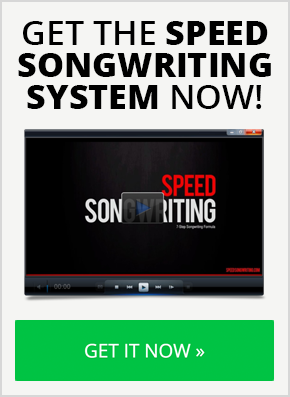 In the Speed Songwriting System, you’ll discover how to use rhyme to control the pace and flow of your lyrics, use rhyme to balance and unbalance your verses, and a lot more. 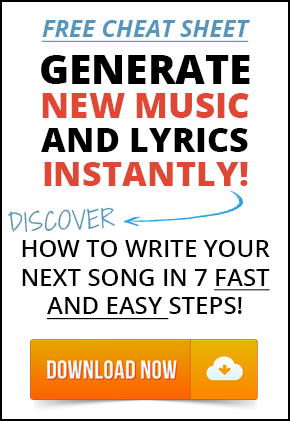 Remember that rhyme is a powerful songwriting tool to help you say what you mean.